Fixin appellation is located in the north of the Côte de Nuits in Burgundy, between Marsannay and Gevrey-Chambertin. In Fixin the soil is composed of a top layer of pebbles made of a mix of limestone and clay. Fixin AOC wine characteristics depend greatly on the soil composition. They vary according to the percentage of clay and limestone in the vineyard. Where the soil is richer in limestone the grapes render light, elegant wines while where the soil is richer in clay they render robust, powerful and tannic wines. There are no Grand Cru vineyards within Fixin. Fixin produces mostly red wines based on Pinot Noir grapes and characterized by red and black fruits flavors with hints earth. 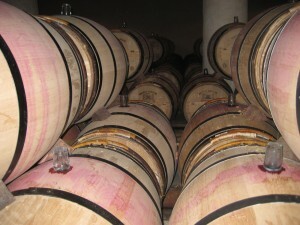 Fixin wines are very powerful and tannic and require some aging before to tame their force and express their elegance. There is a small production of white wines based on Chardonnay grapes which are simple, fresh and mineral.